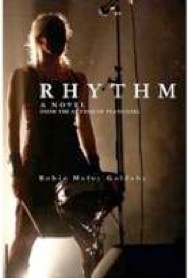 Rhythm is Robin Meloy Goldsby’s second knock-out book, following her 2005 debut, Piano Girl, A Memoir. 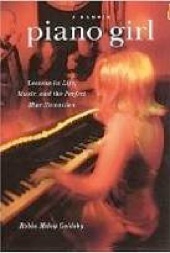 Where Piano Girl was autobiographical, Rhythm is a work of fiction. However, it is a story that tells so many truths about music and the world many musicians inhabit that, really, it is only the characters that are fictional. Goldsby is a professional pianist herself and is married to a musician, so this is a world she knows well, offering insights into the inner workings of those who create and play music. The two main characters are strong, intelligent women. When we first meet Jane Bowman, the narrator of the story, she is a struggling young drummer trying to come to grips with the death of her mother, a percussionist who was killed in a nightclub fire when Jane was twelve. The other is Olivia Blue, a music teacher and music therapist who has rescued many boys from troubled backgrounds by helping them find their creative musical souls. We learn later that Olivia is also dealing with demons from her own past. Goldsby’s writing style is vivid, lively, and very easy to read. Her characters live and breathe and we become wrapped up in their lives, their joys, and their sorrows. Several parts of the book made me cry and others made me laugh out loud – Goldsby made me care that much about the characters. A piano teacher myself, “Rhythm” reminded me of my lifelong desire to make a difference in young people’s lives and to give them something they can return to at any time – the joy and release of making music. Goldsby also makes a very strong case for the emerging music therapy field and its vital importance in our crazy world. 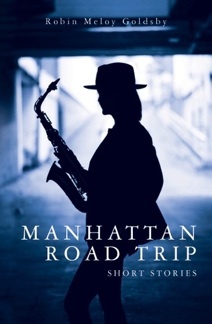 Robin Goldsby is a gifted and engaging writer, and I anxiously look forward to her next work. 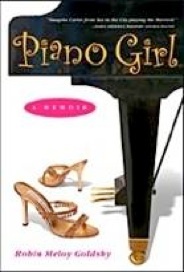 In the meantime, I think I’ll read Piano Girl again! I hated to see Rhythm end.